Spring has definitely sprung here in New Zealand! The temperature is at the awkward do-I-need-to-bring-a-jacket-with-me stage, and the weather has been pretty fab over the last week. 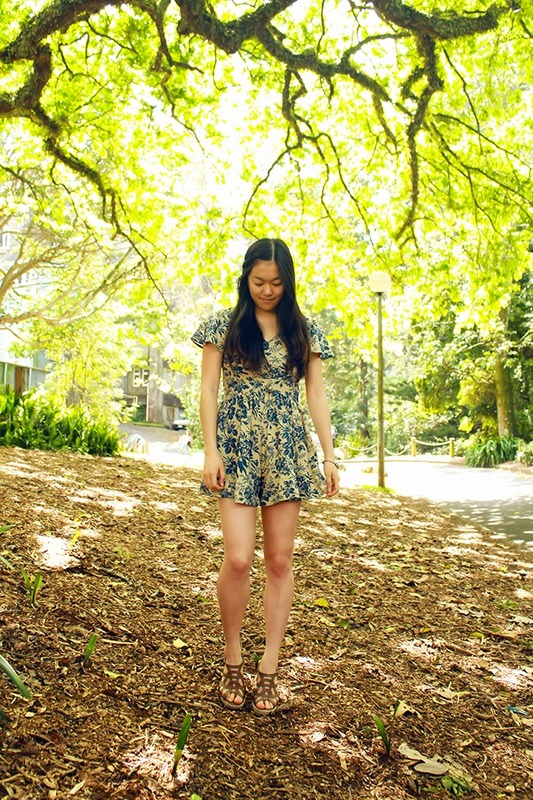 I thought this playsuit would be the perfect piece to celebrate these warmer days. I love how it really does look like a dress at first glance; it's already fooled a few of my friends! great dress! it looks amazing! Your blog is great, what about following each other? Loveee your playsuit. Perfect colors. Great legs!! It's funny I am about to start pulling out my sweaters/jackets for fall& you have spring! Anyway such a cute outfit, love the whole look!! omg i love that playsuit! 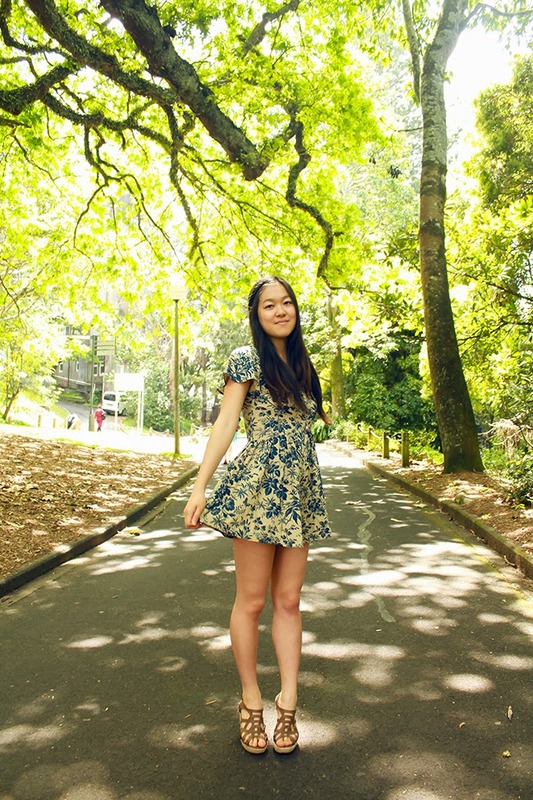 haha i feel so creepy cause i recognise the place where you took these photos haha, i was out with friends and was going to take outfit photos for my blog in the exact same place! haha new zealand is such a small place! 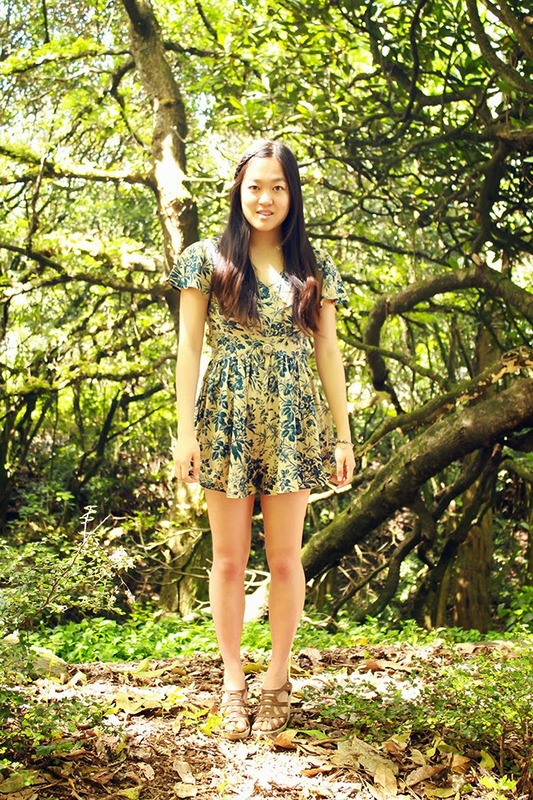 Super cute playsuit! 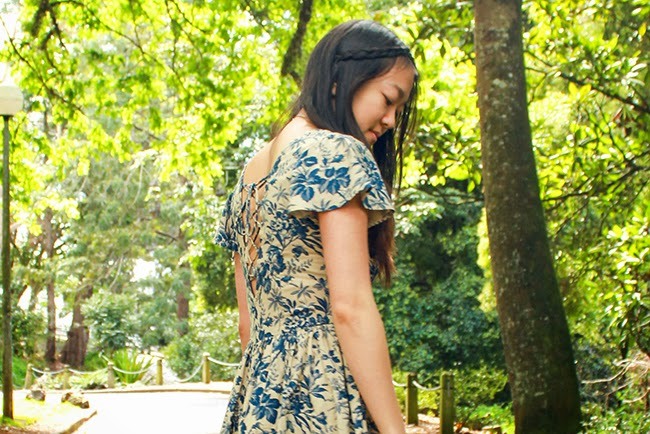 It will be nice to not have to cover up nice summeryish things now that the weathers warming up!